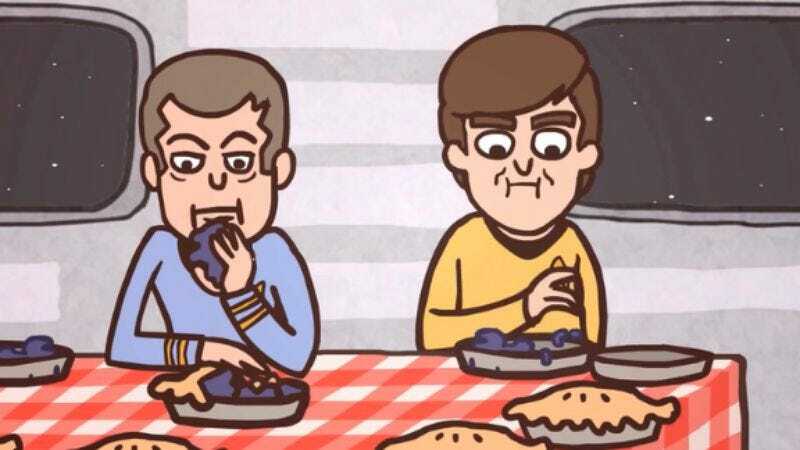 Breaking Bad may have just come back last night, what with its arguments and threats and stuff, but viewer Matt Czap has already taken the most lighthearted part of the episode—Badger’s crazy Star Trek script—and made it into the fun little animation the Internet has wanted for hours now. Czap’s animated version of the pie-eating contest finds Chekov’s guts floating in space while Badger and Skinny Pete rehash the concept in what looks like Abed and Troy’s Imaginarium. Long story short, it’s great, like everything else Breaking Bad related, and well worth a watch or three.